Speaker David Gibbings, who worked on Rotodyne. Tickets £10. Booking details below. 6th November is the 60th anniversary of the maiden flight at White Waltham of the revolutionary Rotodyne, the world’s first vertical takeoff airliner. This special anniversary lecture tells the story of Rotodyne from its conception through the flight test programme (including route proving to Paris and Brussels) to the disappointment of its cancellation in 1962. CENTRAL LONDON TO THE EIFFEL TOWER IN 60 MINUTES was the original promise. City centre to city centre travel would be revolutionised in an age before high speed trains or the Channel Tunnel. 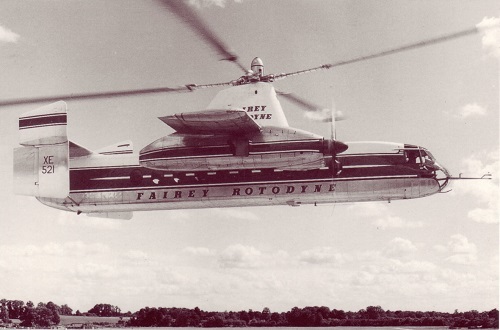 Fairey also offered the Rotodyne for military use, as a flying crane or even as a car and bike ferry! 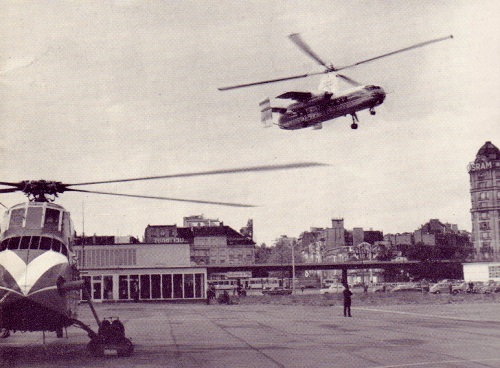 David Gibbings will also look at VTOL projects since the trail-blazing Rotodyne – which was definitely ahead of its time. Online sales have now ended. Tickets will be on sale on the door. Please arrive by 19:30 to purchase tickets, and we look forward to seeing you. David is a retired RAF navigator and flight test engineer for helicopters and aircraft. He worked on the Fairey Rotodyne and then with Westland, retiring as Chief Flight Test Engineer. Awarded the Kelly Johnson award for outstanding achievement in his field by the Society of Flight Test Engineers, he was the first recipient for the award outside the U.S. A qualified private pilot, David lives in Somerset. He has lectured on Rotodyne throughout Europe and the USA.